The high-quality rubber mats have an embossed European -Golf- logo and are shaped to custom-fit your vehicle. 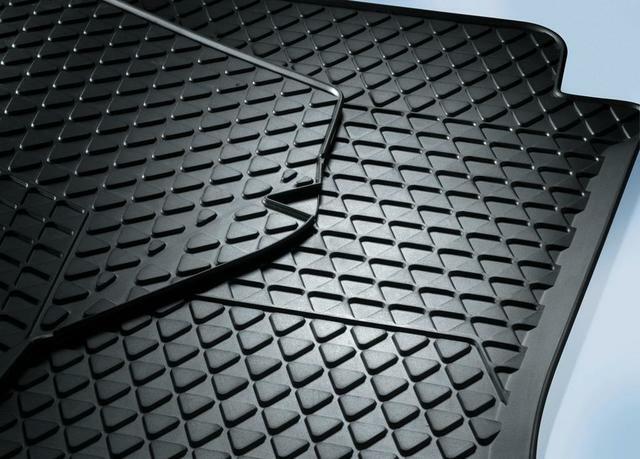 This floor mat is tough and durable- and has an anti-slip coating underside- ensuring maximum safety and interior protection. Set of 2 Front Floor Mats. Oval Retention Clips. Gray/Black.